Have you ever wondered which brand of skin care products is best for you? And what the difference is between what you can get on the drugstore shelf and what is available in your dermatologist’s office? Let’s talk a little bit about medical-grade skin care products, and why they are superior when it comes to treating your individual needs and concerns. What does “medical-grade” really mean? The term “medical-grade” means that the products can only be sold by establishments that operate under a physician’s license (i.e. a doctor’s office). There must be a medical director to oversee the sale of these products. Why is it necessary to have a physician’s license and medical director where these products are sold? Because the proven, FDA-regulated active ingredients in these products are available in higher concentrations than would be permitted in a product available on a store shelf. Those higher concentrations make medical-grade skin care products more effective, but also warrant the need for a medical professional to assess whether or not the product is appropriate for the patient. Can’t I get results from over-the-counter skin care products? There are two problems with self-treating your skin with over-the-counter products. First, you may be purchasing products that you don’t actually need or that contain ingredients that aren’t the best solution to your skin care concern. 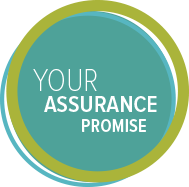 When a doctor’s office recommends a medical-grade skin care product, you can feel assured that that particular product contains the appropriate active ingredients in the right concentrations for you and your skin type. The second problem with going over-the-counter for your skin care is that the concentrations of active ingredients are so much lower in store products that they may not even be effective. Ingredients such as vitamin E, hyaluronic or lactic acids, peptides and Oligomeric proanthocyanidins (OPCs) work best when they reach the deeper skin layers. For safety reasons, over-the-counter products simply can’t deliver the concentrations necessary to reach deep down into skin layers to affect real change. What skin problems can medical-grade skin care products treat? Aren’t medical-grade skin care products more expensive? People often balk at the higher price of medical-grade products, but when you take into account the money you aren’t wasting on over-the-counter products you don’t need and the fact that you often need less of a medical-grade product than an over-the-counter product to achieve superior results, the numbers often add up to your benefit. Wondering if a skin-care product is medical-grade? Don’t be fooled by pictures of doctors on the packaging or by claims that the line was developed by physicians. Remember, it’s the concentration of the ingredients that make a product medical-grade, and medical-grade products will only be available at an establishment with a physician’s license. 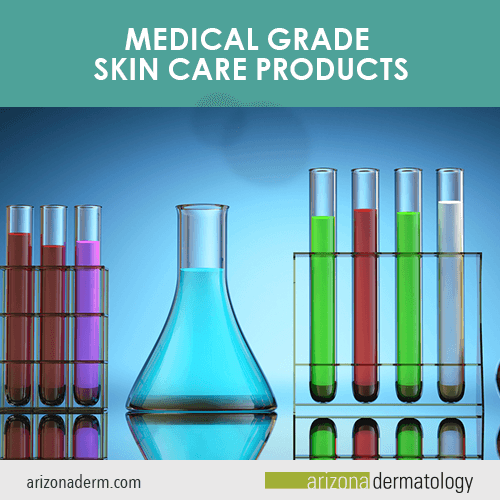 At Arizona Dermatology, we offer our patients medical-grade skin care products from the well-respected NEOCUTIS, Colorescience, Jane Iredale and Epionce skin care collections. Our doctors and Medspa staff may recommend these products on their own or in conjunction with in-office skin treatments. Want to learn more about medical-grade skin care or another skin concern? Call Arizona Dermatology today.